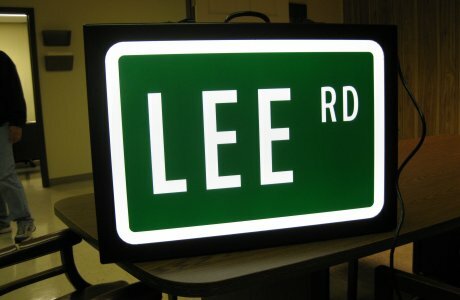 Clean Profile LED illuminated street name signs are new, versatile, LED internally illuminated, edge-lit street name signs that incorporate Southern's hallmarks of easy maintenance and proven long-life LED strips, into a thin, lightweight, parallel-sided body. The design allows this sign to be offered with viewable areas of 4 to 10 feet long and in heights of 15" to 30" in three-inch increments. 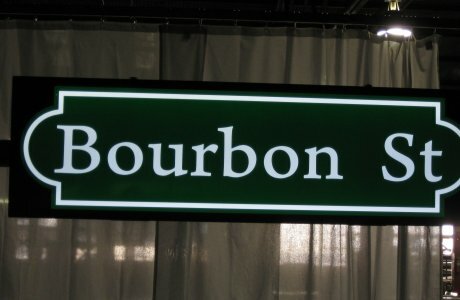 This flexibility allows Southern to size the sign to optimize the fit of the legend including logos while enhancing the visibility of the sign. 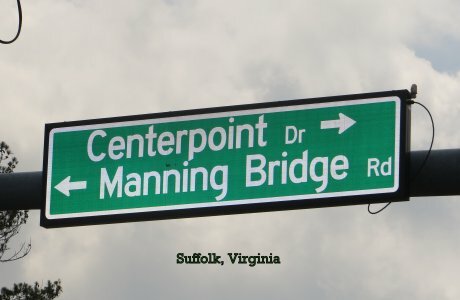 The sign is available in either single or double sided versions. 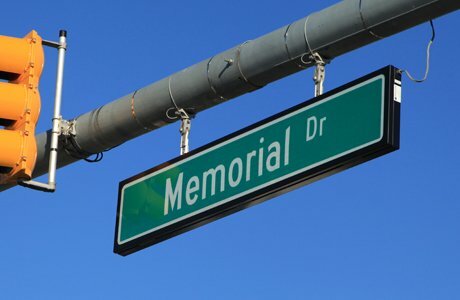 Communities across the country are introducing internally illuminated street name signs to meet the new federally mandated visibility standards for traffic and highway safety. The edge-lit sytle, with its thinner profile gives communities a style that is modern and streamlined. Overcoming past concerns about weight and maintenance, this product’s design was driven by the customer input. 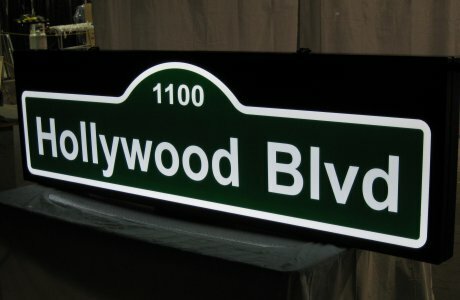 Through the use of advanced optics, the Clean Profile street sign accomplishes the lightweight and low-maintenance objectives and further improves visibility with high-resolution optics that provide uniform light distribution. 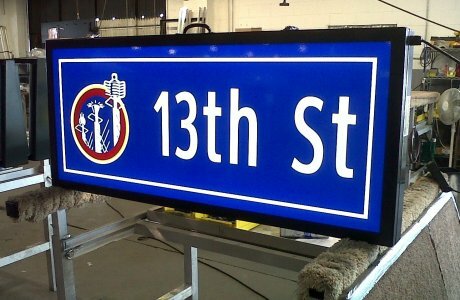 Clean Profile LED signs weigh as much as 20 pounds less than our similar sized standard LED road signs and 30 pounds less than competitors’ edge-lit models. 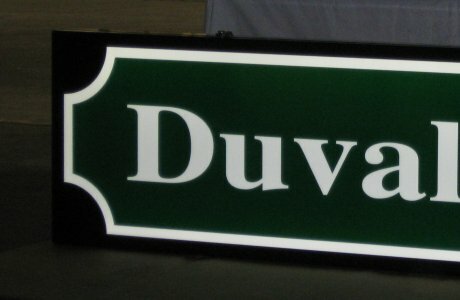 This street name sign provides the safety and visibility inherent in illuminated street name signs while minimizing the bearing load on mast arms or span wire." The body is constructed of .125" thick 5052 aluminum in a standard finish of black powder coating, but other colors are available, including colors that match the most commonly used mast arms. 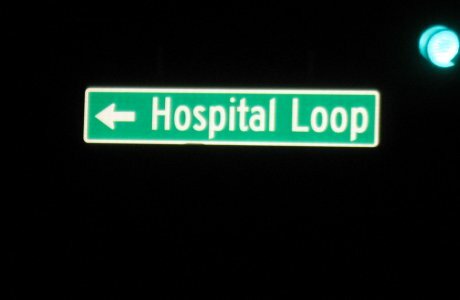 The single-sided sign can be mounted either rigidly to a mast arm or free swinging. The single-sided sign is a mere 3.95" thick, and the double-faced edition, with hinged doors on both sides, measures 5.4" thick. The Clean Profile sign has been extensively tested prior to introduction, including passing a 150-mile per hour wind and water test. The LED light strips have been cycle tested to simulate six years of use, and the Philips Rebel LEDs are rated at 60,000 hours by Philips at double the amperage of the Southern light engine. Thus, the expected life of the LEDs operating 12 hours per day on average is over 13 years. 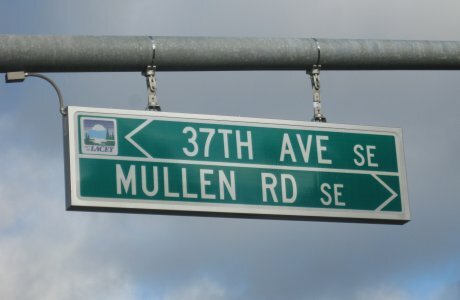 Should maintenance be required or the street renamed, the lens can be changed in-service without any tools, and the internal components can be replaced using only common tools. 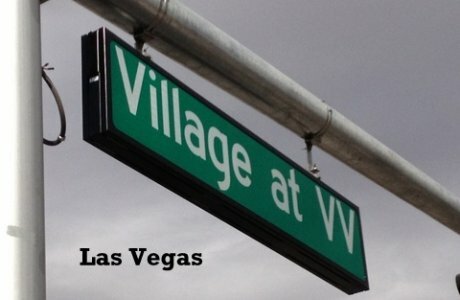 The sign carries a 7 year warranty.